In this paper, weighted differential evolution algorithm (WDE) has been proposed for solving real-valued numerical optimization problems. When all parameters of WDE are determined randomly, in practice, WDE has no control parameter but the pattern size. WDE can solve unimodal, multimodal, separable, scalable, and hybrid problems. WDE has a very fast and quite simple structure, in addition, it can be parallelized due to its non-recursive nature. WDE has a strong exploration and exploitation capability. In this paper, WDE’s success in solving CEC’ 2013 problems was compared to 4 different EAs (i.e., CS, ABC, JADE, and BSA) statistically. One 3D geometric optimization problem (i.e., GPS network adjustment problem) and 4 constrained engineering design problems were used to examine the WDE’s ability to solve real-world problems. Results obtained from the performed tests showed that, in general, problem-solving success of WDE is statistically better than the comparison algorithms that have been used in this paper. 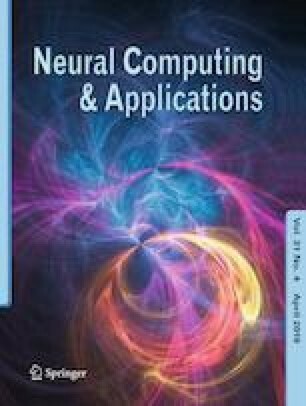 The authors would like to thank the editor and the referees for their contribution in enhancing the technical quality of this paper. Some parts of this paper were supported by the below mentioned projects: Erciyes University BAP FDA-2013-4530, FBA-10-3067, FBA-9-1131, FBA-2013-4525, 06-AY-15 and Tubitak 115Y235.